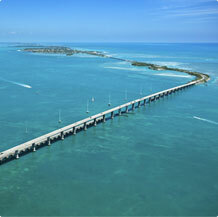 PGA Delivery Service Inc, is the oldest and largest carrier to and from The Keys. PGA has been in business since 1970 and provides service between all points from Palm Beach and Key West every day. Click here for a map of the PGA Delivery Service area.